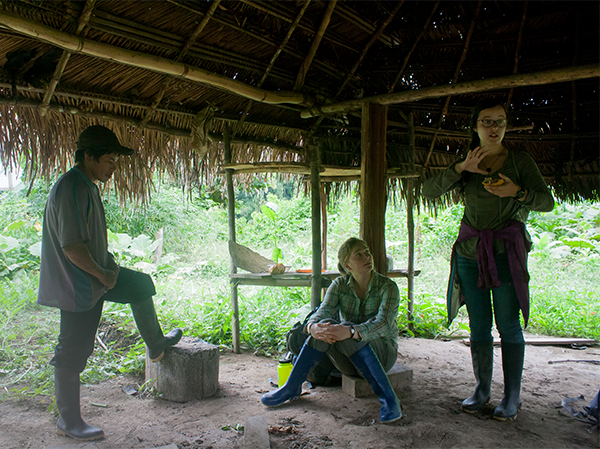 During our time traveling in Peru and especially during the three days we spent with members of the Lucerna and Palma Real communities, we reflected a lot about the role of communities in conservation. We knew going into the trip that working with communities is essential for successful conservation, but we did not know many specifics. 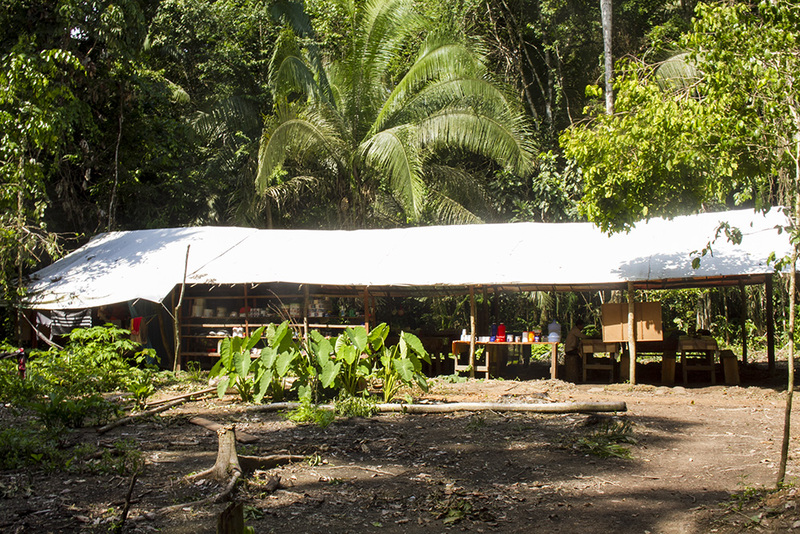 The complexity of the relationship between conservation and communities became clear very fast. It involves balancing the goals of everyone involved, education, job options, and the influence of both local and global economics. On top of that, the challenges of conservation are different in every community. Despite these complexities, we left Peru with a large dose of hope to carry us through the rest of our class and to inspire us to continue to try to make a difference in the world. The people we met were well informed about the social, economic, and political problems relevant to them, and they wanted to improve their lives. They were open to new ways of agriculture, and some of them were actively trying to change their communities’ practices to be more sustainable. It wasn’t Westerners coming into their territory and telling them how to change; it was Peruvians acting on their own beliefs, passions, and abilities to instigate change, and to a large extent, ARCAmazon is a tool for them and their goals. Members of the Lucerna and Palma Real communities (and the Peruvians who we met in general) taught us something important: conservation, just like most aspects of life, is most possible when people help each other. It requires selflessness, not just towards the environment but also towards the people that need the environment to survive. 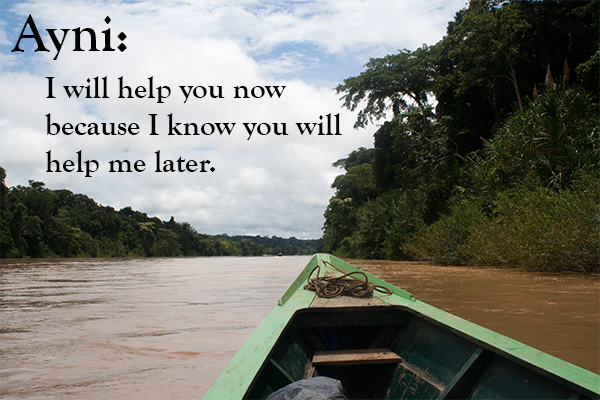 Conservation, in a word, requires ayni. PS- Here is the video that Luke made for our group starring some members of the Lucerna and Palma Real Communities.